WHEN THE DOGS ARE GONE: THE HUNTER "PINIARTOQ"
Far up the eastern coast of Greenland, 23-year-old Martin Madsen still uses his sled dogs to hunt seals and polar bears as they have always done in his family. But local and global changes are threatening the future of the sled dog in Greenland, and the unique culture surrounding it. We’re used to seeing stray dogs in our neighborhoods, but when it comes to their living conditions, we can only know what we see. Hundreds of thousands of dogs in Turkey are struggling to survive in remote places, far from human habitation. 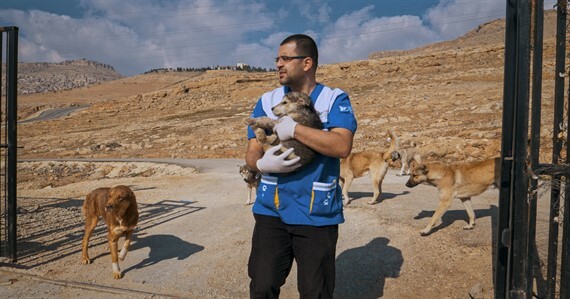 Few of these dogs are able to survive, and those that can do so through the extraordinary efforts of animal lovers. Q&A with the filmmakers of When the Dogs Are Gone to follow both screenings!